Enhanced command-line interface for hybrid apps, with advanced debugging and remote build support. 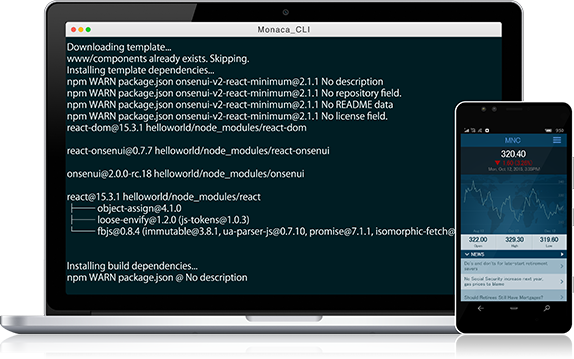 Monaca CLI is the full stack development tool for hybrid apps. It is compatible with Cordova CLI and make the development much eaiser and faster. With a npm install, you get everything setup for app development. Monaca CLI bundles all dev stack, so no need to install additional dependencies and setup platform SDKs. Run the app in a local browser or on a real device using Monaca Debugger. Both support live reloading for quicker debugging. Hot reloading is supported for React templates. Easily push projects to the Monaca Cloud and access them from any computer, anywhere, anytime. Your projects can be synced between various development environments. Instantly create package for iOS, Android, and Window simultanously. Flexible build and deployment options includ full support of Cordova plugins. 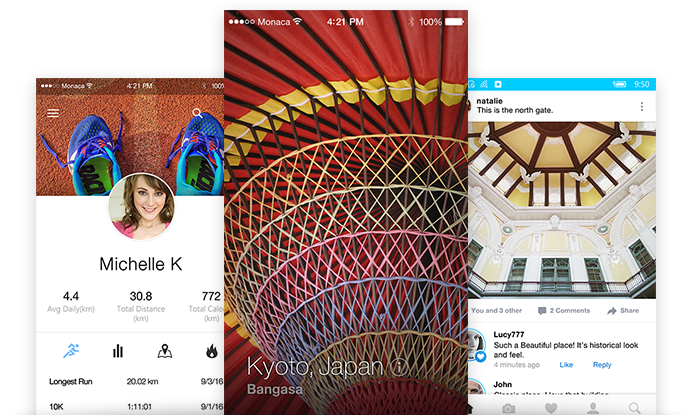 You can pick your framework - Angular 1, Angular 2, React, Ionic, or somthing else. Onsen UI templates come with Webpack configs and are fully customizable. JS framework-agnostic platform with hundreds of ready-to-use native look and feel components. Additional support is provided for Angual 1 & 2, React, Meteor, Vue and jQuery. Start using Onsen UI today with Monaca CLI's fast and easy pre-generated templates. Let's get started, it's free! Access comprehensive services to develop and build your Cordova apps, fast and easy. We have variety of options to chose from. Please refer to our docs for the details.